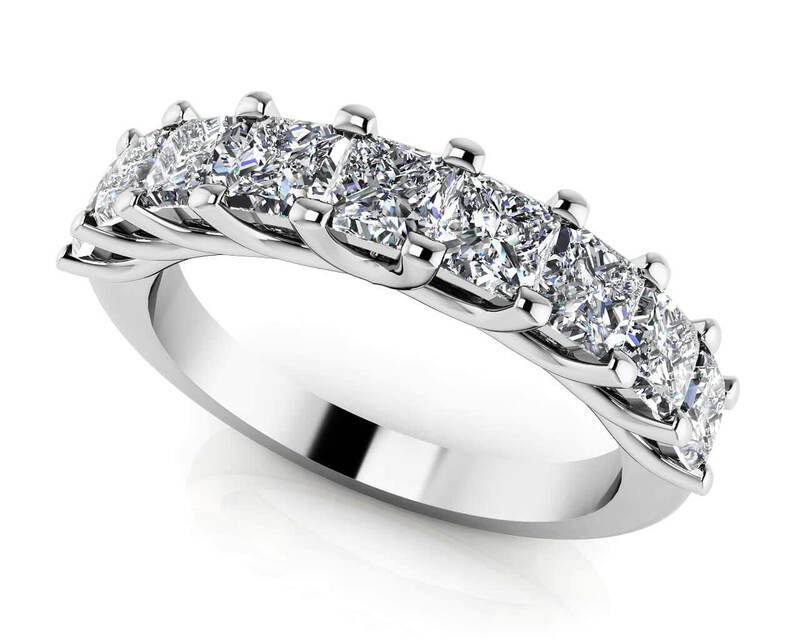 Dazzle her with this stunning diamond anniversary ring! With the use of common prongs, our craftsmen have created this ring to truly capture the entire beauty of the princess cut diamonds. 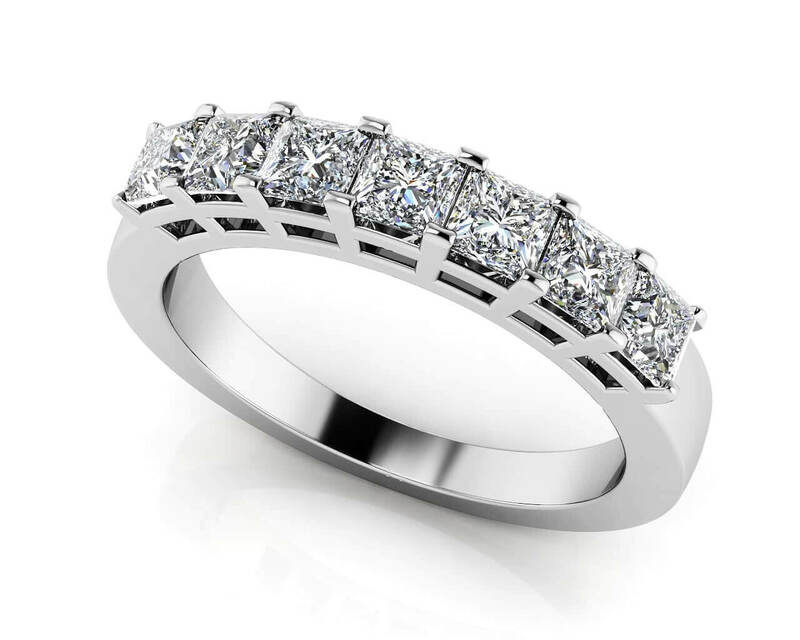 The setting allows you to view the diamonds in their entirety while keeping them securely in place. Choose from three different sizes to fit your needs. Stone Carat Weight: 7X.071 ct.